Back in November, Tampa Bay Buccaneers quarterback Jameis Winston tried to give his team a fiery, “Eat a W!”-centric pregame speech to pump them up. It was…not entirely successful? It’s always a surprise to see a bad motivational speech, because whether it’s Al Pacino moving beefy foot players to tears in the locker room or Kyle Chandler doing, well, the exact same thing, we’ve become accustomed to coaches in movies and TV shows delivering rousing last-minute speeches to inspire their team to victory. But since most real-life coaches don’t have access to award-winning writing teams, how do they approach their pregame speeches? Do they prepare something in advance? Ad-lib something on the spot? Do they really even make speeches at all? 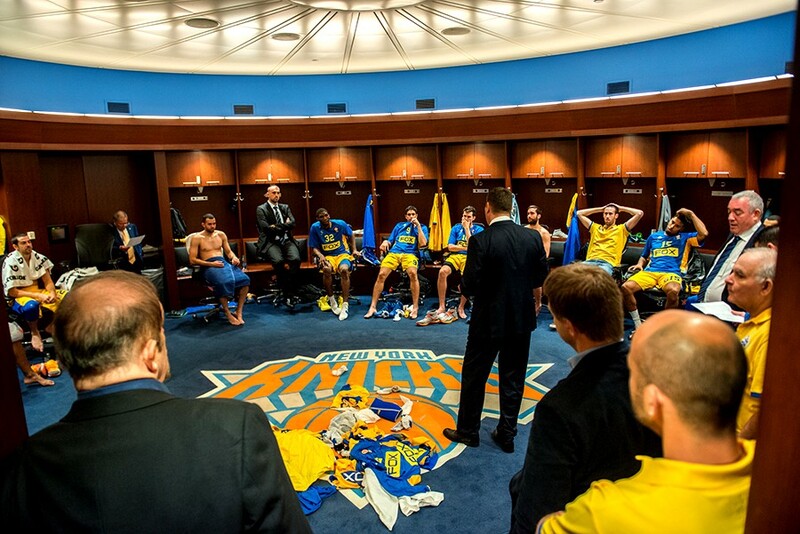 Here’s what coaches at all different levels told us about the art of the pregame speech. Rod Firestone, Pee-Wee basketball coach: I’ve coached several teams in the past five years, and what makes a good pregame speech has changed from year to year. Last year, the speeches felt like the most important: Our team was smaller than most other teams in the league, and we struggled to win a single game through the entire season, which meant the speeches carried a sort of weight that they hadn’t in the past. I wasn’t motivating my team to win — I was motivating them to continue to feel inspired in the face of defeat. The pregame speeches I gave were never prepared. In the last few games of the season I focused very little on the game plan. Instead, I told them the truth: That I, too, was frustrated, but that I was inspired by their level of effort when they were down 20 points with a few minutes left in the game. I think what makes a good pregame speech isn’t so much about firing up your team, but getting them to a place where they can block out the chatter and focus their attention on the moments. Matt Schaffer, men’s high school water polo and swimming coach: I like to prepare three points to focus on during my pregame speech, mainly because before a game, meet or regata, athletes are all over the place, and if you give them too much info, they won’t focus on the right stuff. It’s important for the heady stuff to come first because that’s when you have their analytical attention. You want to end on something that’s going to get them fired up and ready to go. Robbie Church, Duke University women’s soccer coach: The key to a good pregame speech is keeping it short and sweet. It also helps if you bring facts with your points and that you’re able to speak from your heart. It used to be a lot more emotional and tugging at the heartstrings. Now I don’t think the emotional part is as strong: People want more substance. What’s the feedback? What’s the tactic? Instead of talking about the pride of Duke, they just want to know what has to happen in order to get the win. I always read attention spans and body language to see how connected the players are to what I’m saying. I will alter or skip something in the moment based on their feedback. I may have a paper in front of me, but that’s more of a security blanket. In some cases, I’ve had a speech prepared, but as soon as I look at the players, I can tell when they don’t need a pregame speech and that they’re ready to play. John Speraw, head coach of the men’s national volleyball team as well as UCLA’s men’s volleyball team: It can be different at different times. The sort of, “Let’s get out there and charge!” speech has never been my style, especially because after you leave the locker room, you have 45 minutes to warm up. Instead, I stick with reminders about tactics and tendencies. I remind the players about how we want to play and about how they should focus on controlling what they can control. It’s less about the outcome and more about how to manage the moment, the intangible elements and your own competitive energy and focus. It’s talking about who we want to be and our values — and for Team USA about how we want to represent our country. That always resonates for long-term performance. With every team, it’s important to understand key terms. When I coach at UCLA, it’s about being competitively relentless when things aren’t going our way. For Team USA, it’s about trust, honor and grit. I have them visualize the scenarios that exhibit our values. Pregame speeches, in my opinion, are less about the “ra ra” and more about really simple, tactical reminders, because during that time, there isn’t much higher level brain function going on.